KidZania Kuala Lumpur is giving 200 kids get to enter for free on their 2nd Anniversary day... Wah! so syoik I also want to join the queue, I want to be a kid again because last time there is no KidZania for me. 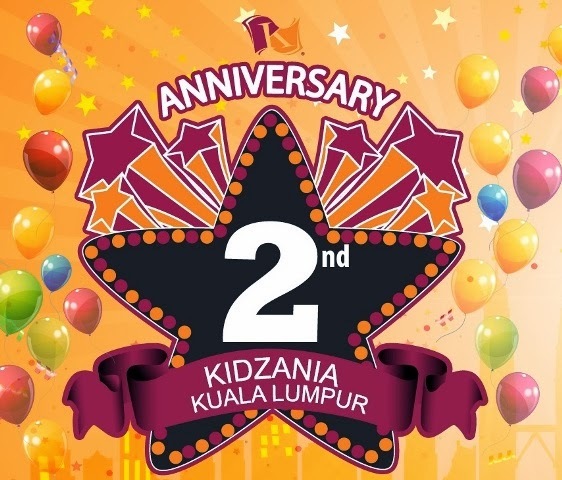 KidZania Kuala Lumpur, the award-winning indoor family edutainment centre will be celebrating its 2nd anniversary and everyone is invited to join in the fun. Go early ya! In keeping with the theme of ‘All Good Things Come in 2s’, the first 200 kids will enter for free. Additional tickets are available at 40% off and selected merchandise will be up to 70% off. At 2pm, there will be a surprise giveaway for 200 kids who show their boarding passes. There will also be special performances and party goodies to be given away throughout the day. Come on and celebrate with KidZania Kuala Lumpur.